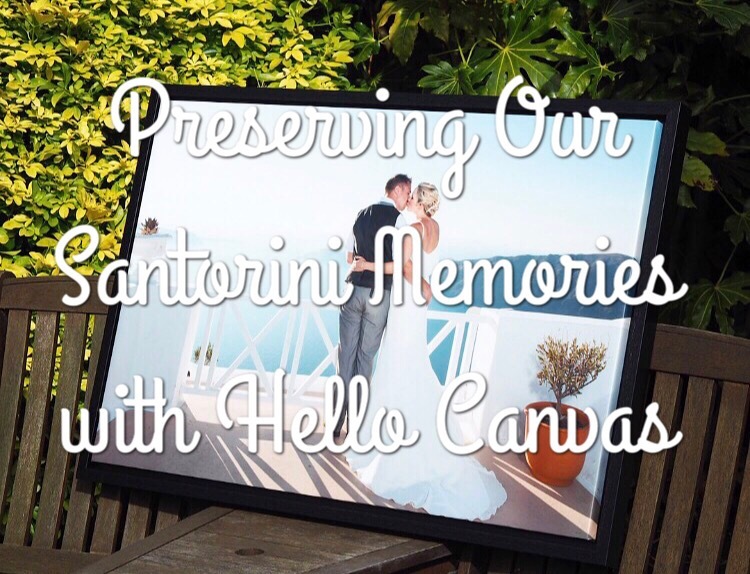 I first heard about Hello Canvas a few months ago, and when I spoke to the lovely Jennifer over the summer about a collaboration, we decided it would be best to wait until after my wedding so that we could have one of our professional shots to display at home. We didn’t have a lot of photos from the day itself, so choosing one for the canvas wasn’t too hard a decision luckily. 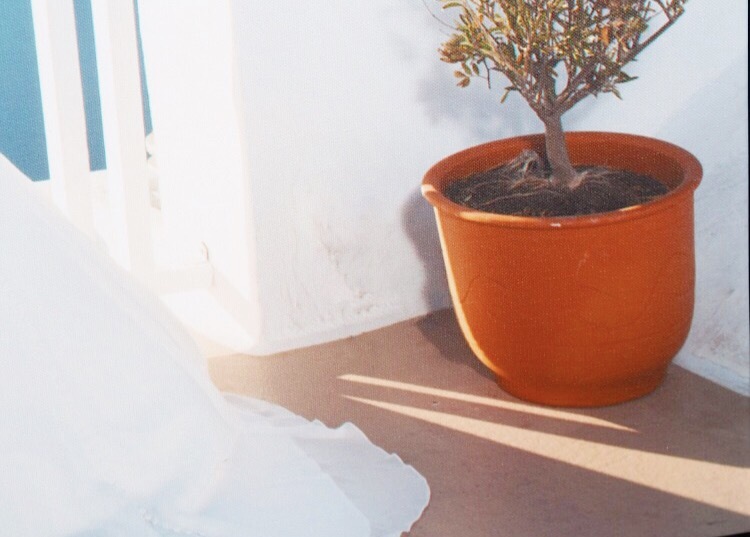 One in particular, of us looking out at the stunning caldera view, we both loved so I chose that one to be put on a canvas. I also opted for the floating frame in Black in addition to the canvas. The delivery came really quickly, and I opened the parcel excitedly – it’s by far the biggest piece of ‘blogger mail’ I’ve received so far! 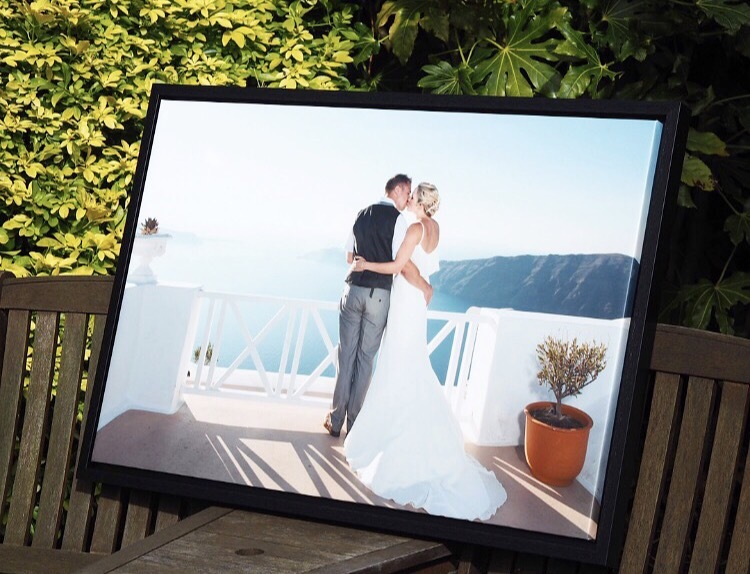 Having seen positive reviews of the company I expected a good quality canvas but I was still blown away by how lovely the print was – really clear and bright! We went for the 60 by 90cm canvas, and I’m useless at dimensions so I wasn’t sure if it would be too big or too small. It is fairly large, but I think it works for a print like this, which will be displayed in our living room, as a focal point. If you are short on space I would suggest going the next size or two down, as it does take up a large area of the wall. 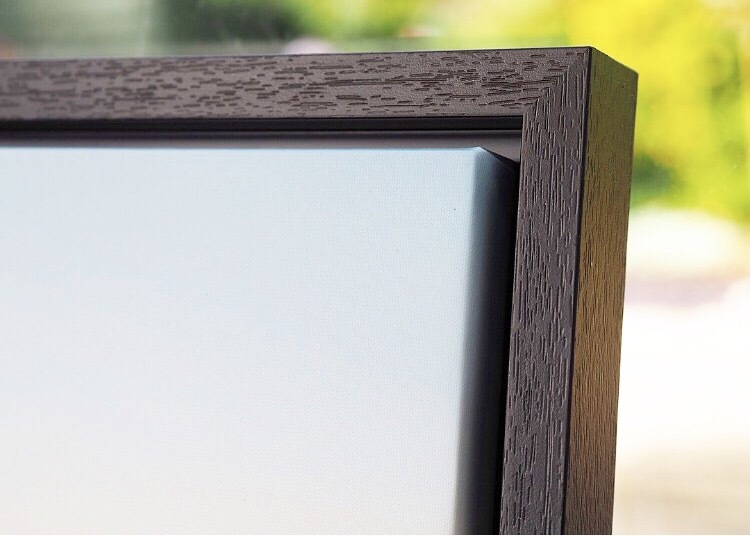 I love the floating frame, as it really adds a touch of glamour to the canvas, and makes it stand out more. The ordering process was really quick and simple with a brilliant user-friendly website taking you step by step through the process, with options such as the colour of the floating frame, and whether you would like the image to be wrapped around the canvas or prefer to have a block colour or a mirrored image border around the edge. You can also choose whether to have any effects such as black and white with a colour highlight for an additional cost. I love that you can also upgrade to have you photo edited, if necessary. Sometimes a print would be perfect to be displayed if only it weren’t for x, y and z, so it’s nice to be given the option to choose this fuss free service if you wanted it. 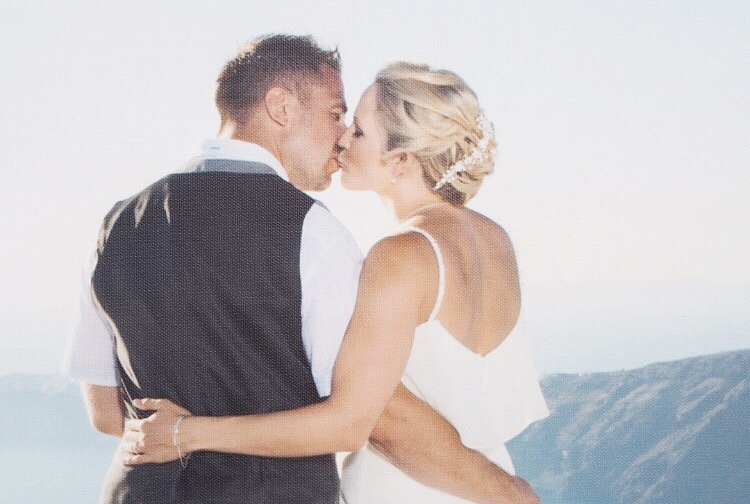 We opted to have an unsightly plug removed from our photo and Hello Canvas did a brilliant job! There’s also the option to have red eye and dates from a photo removed completely free of charge, during the ordering process. You are shown a preview of how your image will look, which is brilliant for somebody visual like myself who sometimes struggles to envisage how the end result will look when ordering online. 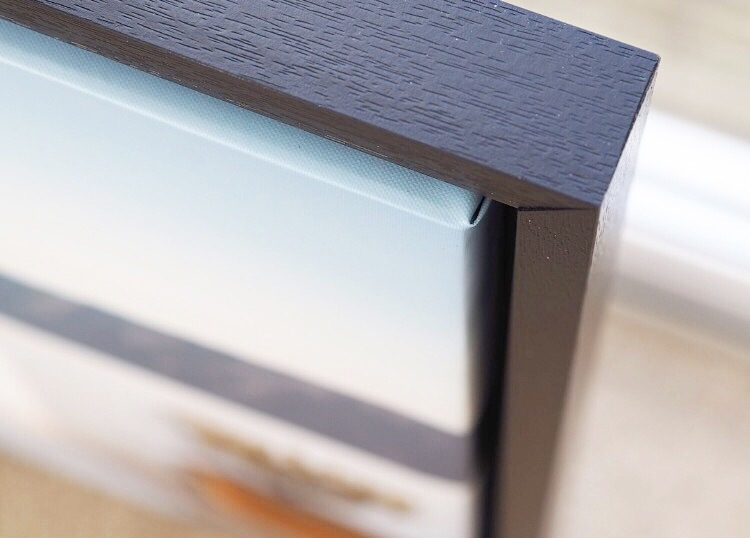 This also means that you can see where the image will be cut off, when ordering a canvas, so that you don’t end up losing an important part of the shot. 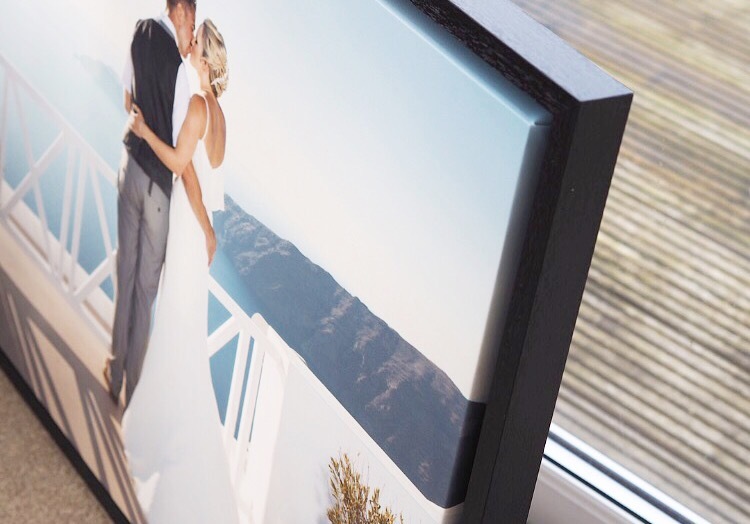 As well as the canvases, and floating frames, Hello Canvas also offer a huge range of products from framed prints to phone cases and even photos on wood, as well as maps. I love that the dimensions for the products are shown in both inches and centimetres, as it can be hard to work out sometimes and I have been known to head to Google to check! As well as the standard sizes they offer, you can also request a different size, which will be custom made for you, which is brilliant! The handy explanation page on their site gives you answers to the questions you might have about the process including optimum file size for the best quality prints, and further details about the materials used for their products. A lot of care and attention has been put into their site as well as their packaging and the customer service is brilliant. Delivery is a flat rate of £4.95, which I think is a fair amount, and means you don’t end up paying through the nose for a big order. However, if you want your order in a hurry they do offer Express and priority delivery at a higher charge. If you fancy getting your hands on your very own canvas or anything else from website, Hello Canvas have kindly offered my readers a discount of 15% off all products on their site with code “emma15“. 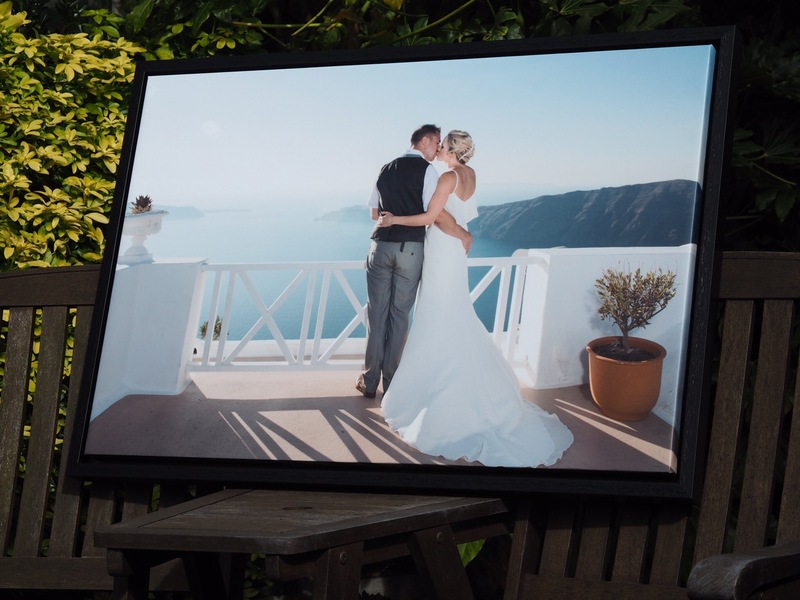 We were kindly gifted the canvas with floating frame from Hello Canvas for the purpose of this review, however all photos and opinions are my own. So cool and that sounds like such a nice thing to have in the home and remember such a great gift. I would love something like that for a special moment in my life. So cool – and beautiful photo! What a stunning photo! 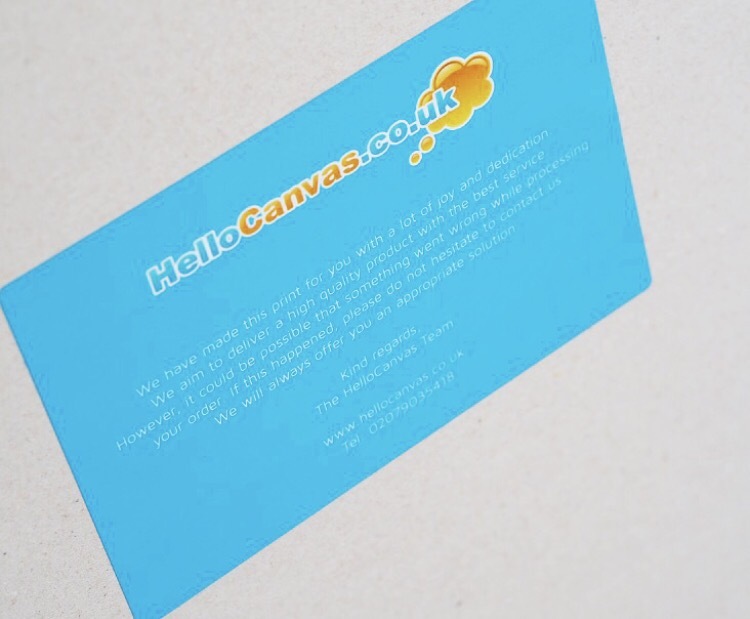 Hello Canvas sounds really fab! Ah this is gorgeous, love the frame!